Image your favorite photograph 4’ X 8’! Digital prints are essentially photographs that can be blown up to very large proportions. They can be for trade shows, banners, signs, decals, stand up displays, business cards, vehicle graphics, stickers, and many other applications; they provide limitless versatility for your sign and display needs. Want to see some samples of work we have done for other clients? Visit our Portfolio. Ready to place an order? Great! Click Here to get started. 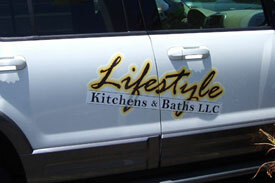 Safari Signs and Etched Solutions understand the challenges presented to new business owners. That is why we offer a Complete Customized Interior & Exterior Sign Package. Ease your mind and let business begin!